Common Law’s Professor Colleen M. Flood has been elected as a 2018 Fellow of the Canadian Academy of Health Sciences (CAHS), one of the highest honours for members of the Canadian health sciences community. Established in 2004, the CAHS helps to bring together Canada’s top-ranked health and biomedical scientists and scholars with the goal of understanding and addressing the urgent health concerns of Canadians. Fellows of the CAHS are elected on the basis of their demonstrated leadership, creativity, distinctive competencies and commitment to advancing academic health sciences. Fellows volunteer their expert advice and analysis to help inform public policy development and improve the health of all Canadians. Professor Flood is widely recognized for her ground-breaking research, which has significantly advanced understanding across a diverse range of issues at the intersection of law and health systems, benefitting Canadians and the global community. Since the publication of her very first monograph, International Health Care Reform: A Legal, Economic and Policy Analysis (Routledge, 2000), she has earned an international reputation as a leading thinker in comparative health care policy. Her research is distinguished by its thorough interdisciplinarity – sewing together insights from law, political science, economics, and health services research. Throughout her career, Professor Flood has advanced our understanding of the law’s impact on the function of health systems, ultimately increasing access to quality health care. 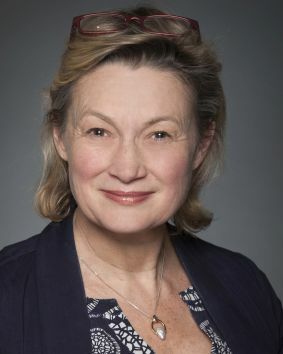 She currently serves as the Director of the University of Ottawa Centre for Health Law, Policy and Ethics. Professor Flood was formally inducted to the CAHS at a special ceremony on September 13, in Vancouver, as part of the Academy’s annual meeting. Congratulations to Professor Flood on this exceptional achievement!